James Ussher’s great work Annals of the World is now available in English. 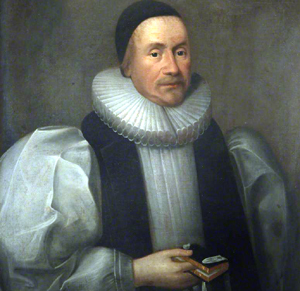 James Ussher (1581–1656) was Archbishop of Armagh, the highest position in the Irish Anglican Church, a product of the Reformation in England. He was also a noted historian and Hebrew scholar, highly regarded throughout Britain, both by kings and revolutionaries. In 1650 and 1654 he published his magnum opus, The Annals of the World,1 a 1,300-page tome in Latin on a history of the world covering every major event from the time of Creation to AD 70. In this, he calculated the date of creation at 23 October 4004 BC, and this is what he is best known for today. Until now, Ussher’s original work has been inaccessible to most people. But thanks to Larry and Marion Pierce of Canada, this has been translated into modern English, and is now available from CMI (see box at the right). 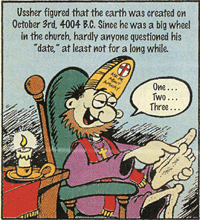 Larry has already written a widely acclaimed article for Creation magazine about the archbishop.3 Here, he explained how Ussher worked out the creation date by using the genealogies of Genesis 5 and 11 plus other biblical time indicators to work backward from the well-established date of the fall of Jerusalem (588 BC). Jonathan Sarfati [JS]: Larry, please tell us how you became interested in Ussher. 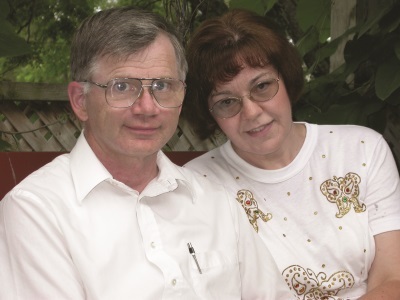 Larry Pierce [LP]: I suggested looking into his work to [another creationist] in 1997 to see exactly what Ussher said. [He] acquired a photocopy of the first Latin volume of the work for me to examine. I then discovered there was an English translation and a second volume to the Latin work, which [he] also acquired for me. [He] suggested it would be nice to have Ussher republished in some form if we would put it into electronic format, which Marion and I agreed to do. Later, Master Books became interested and agreed to publish it. [JS]: What were some of the highlights you discovered? [LP]: I had taken ancient history in high school and university, but had absolutely no idea of the number and scope of the original writers. This was a real surprise, for nothing was mentioned in the classes I took of the sources for the material being taught. Ussher had the highest regard for the Bible and used its data to find and correct errors in secular history, e.g. Nebuchanezzar’s 20-month reign with his father, the correct starting point of Daniel’s ‘70 weeks’. One of the biggest surprises was the extent of the darkness and the earthquake at the crucifixion on 3 April AD 33. Ussher cites ancient writers from all over the then-known world who documented these two events. Marion Pierce [MP]: What seems of great significance throughout the work is the way that the One and Only God of Eternity intervened in history from the very beginning. He started with one man and one woman, and as the population of the human race grew, God orchestrated the events in order that man would always have access to a way to know Him. Those who chose to go their own way could be free to build cities and empires, but ultimately these achievements would come to nothing, and often the great men who conquered whole empires died in wretched circumstances because they gave no glory to God, only hoarding it for themselves. There is a great deal written about Alexander the Great in this document. Over and over, this man conquered city after city; and as we read about it day after day, we saw that a pattern of the emptiness of his life kept emerging. [JS]: Translating such a huge tome must have taken a lot of effort. What was the hardest thing? The quality of the type was much too poor to scan, and it was the old English script. [LP]: The first thing Marion and I discovered was that we could not scan the material as we normally do for commentaries we prepare for the Online Bible. The quality of the type was much too poor to scan, and it was the old English script. Fortunately, Marion became a very speedy typist over the course of the project. The second difficulty was the language. The whole thing had to be modernized to be understandable. Ussher’s English translation followed Latin sentence structure and was very hard to follow. Often a single English sentence would last a whole paragraph, and the pronoun references would quickly become ambiguous unless you could retranslate it from the Latin or check the source material from which the story was taken. Trying to update someone else’s old English is very difficult. [JS]: Some Christians believe that the genealogies of Genesis 5 and 11 contain large gaps, and hope to fit secular archaeology and geology into them. What did Ussher think? [LP]: Ussher allowed no gaps in the chronologies at all. The way the Hebrew text is written would not extend the timeframe one second, even if one could prove there was a gap, since X was Y years old when his son (or grandson, if you wish) was born. Ussher wrote an article similar to the Journal of Creation one that you and I did, exposing the spurious Cainan in Luke 3:36.5 And his was over 350 years ago. I have not yet been able to get a copy to translate. [JS]: What should Christians learn from Ussher? First, we must learn to have a very high regard for the authority of the Scriptures. [MP]: It became increasingly clear how the average Christian has no concept (until he reads these kinds of works) of the level of faith-affirming truth they can glean from a knowledge of history. [JS]: Your other great project is the Online Bible, which has been so useful for researching the Bible, hunting for key phrases, comparing different versions and commentaries, and studying the original languages. How did you come up with this concept? [LP]: In October of 1987 I obtained the Authorized Version [KJV] text from Public Brand Software, and toyed with the idea of what I could do with it. I had much experience designing databases from scratch and helped design and implement the Toronto Credit Bureau reporting system database, which was also used for quite a while in Sydney, Australia. Like that system, I designed a lightning-fast search for the Online Bible, which helped make it very popular on slow machines like IBM XTs. [JS]: Finally, all this would be a waste of time if you were not a Christian. How did you come to faith in Christ? [MP]: I was called to Christ on 13 March 1966 at the age of nine. In those years preachers were still involved in caring deeply for the souls of their people. I shall never forget the way my pastor literally hung over the pulpit genuinely sobbing as he told us that if we were to die that night without coming to Christ our souls would be eternally lost in Hell! I knew that was the moment he was talking about my soul. [JS]: Just how important is the issue of chronology for Christians? Why does it matter, anyway? [LP]: Chronology is extremely important. If you ignore the historical biblical data that allows you to put real dates to an incident for a biblical story in the Bible, how does that story differ from a myth? Unlike the ‘holy books’ of other religions, the Bible gives us the information to date most of its events [see also Holy books? 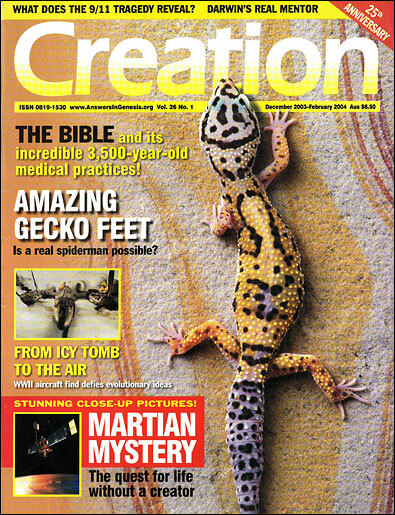 on p. 19 of this Creation issue]. I am saddened when I pick up reference Bibles written by otherwise outstanding conservative scholars, and find no dates for the first 11 chapters of Genesis. To many, real history only seems to begin with Abraham. If you refuse to date important events, like the Flood, before Abraham, how do these stories differ from fairy tales? Many have succumbed to the just-so stories told by ungodly archaeologists who delight to undermine the Bible with their ‘scholarly’ conjectures whenever they can. Civilizations that could not have existed until after the Tower of Babel, are routinely dated at 1,000 or more years before the global Flood in 2348 BC, to which my reply is, ‘how long can you tread water! ?’ Time texts in the Bible are the main point of Satan’s attack on the authority of the Scriptures. Whether they are in Genesis 1, Kings, Luke or elsewhere, if you do not take the time texts literally, you undermine the authority of the Word of God. Those who play fast and loose with the days of creation to allow for millions of years of fossils undermine the foundations of the Gospel by destroying the biblical teaching of God having created a ‘very good’ paradise that was lost through the sin of Adam and Eve. This is the reason Jesus, the last Adam, came to die. It’s pretty serious, really. Actually, this title, by which it is best known, was of a posthumous English edition, published in 1658. Volume 1 published in 1650 was entitled Annales veteris testamenti a prima mundi origine deducti (The Annals of the Old Testament, Deduced from the First Origin of the World). Volume 2 was published in 1654 two years before he died. Return to text. Newton, I., The Chronology of Ancient Kingdoms Amended, published posthumously 1728, cited in Renfrew, C., Before Civilization, Penguin Books, UK, pp. 22–23, 1976. Return to text. Pierce, L., The forgotten Archbishop, Creation 20(2):42–43, 1998. Return to text. Pierce, L., Niagara Falls and the Bible, Creation 22(4):8–13, 2000. Return to text. Sarfati, J., Cainan: How do you explain the difference between Luke 3:36 and Gen. 11:12? ; creation.com/cainan. Return to text. Ross was even more inflammatory in a RTB comic book he co-authored for kids.2 This portrayed Ussher as a fool with dunce-cap-like headgear (see cartoons). But Ussher entered Trinity College (in Ireland) when he was only 13, received his master’s degree at age 18, was ordained a deacon and priest in the Anglican church at age 20, and received his Doctor of Divinity degree at age 26—not bad for a ‘dunce’! RTB even got the date wrong, 3rd instead of 23rd of October. It’s also highly improper for Ross to claim that they ignored Hebrew. Ussher was recognized as one of the greatest scholars of his time, being an expert on Semitic languages and ancient history. And Lightfoot was an expert in Hebrew, including the Old Testament, and later Jewish writings called the Talmud and the Midrash, as well as being skilled in Latin and Greek. It’s a sad indictment on an ostensibly evangelical Christian ministry that an atheist treated Ussher with the respect he deserves, rather than mockery. One must also wonder if RTB will publish cartoons of Kepler and Newton in dunce caps, since they agreed with a creation in about 4000 BC! Ross, H., Creation and Time, Navpress, Colorado Springs, USA, pp. 26–27, 1994. Ross, H. and Bundschuh, R., Destination: Creation, Reasons to Believe Comix, p. 5, 1997. Gould, S.J., Fall in the house of Ussher, Natural History 100(11):12–21, 1991.